"Jesus said, "THIS IS THE KING OF THE JEWS." Our winter finally melted into spring. Rain is on the way, which is proof that summer is coming. Just as Easter brings the reminder that our Lord died and rose from the dead to give us new life. This month is Royal Court, which is one of the 4 free restaurants we will be eating at. Dining inside Royal Court places you and your family in the heart of a lavish Disney fairytale. 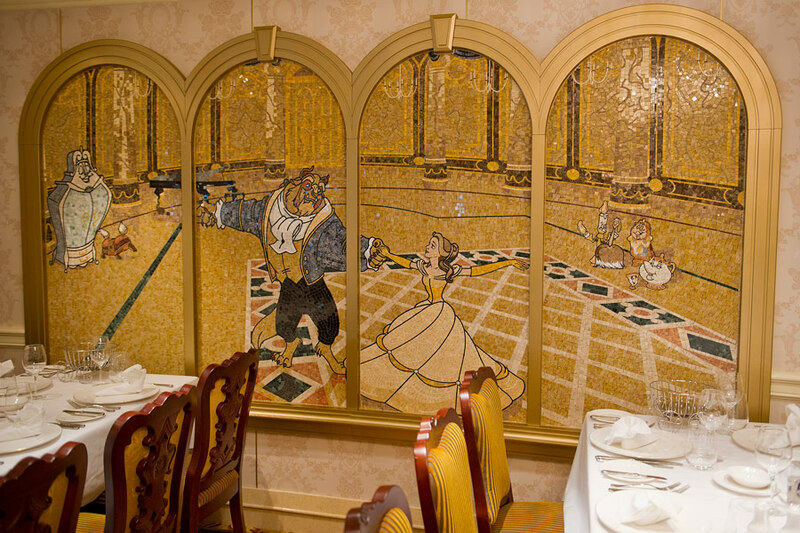 It should come as no surprise that much of the restaurant's wondrous design is modeled after classic Disney animated films, including Cinderella, Snow White and the Seven Dwarfs, Sleeping Beauty and Beauty and the Beast. Inside Royal Court, resplendent décor includes custom lighting fixtures modeled after Cinderella’s coach, handcrafted mosaic tile murals of the Disney princesses with their princes, plus ornate details and furnishings that incorporate iconic symbols, like glass slippers, apples, roses and tiaras.Chandeliers, chair backs and marble-cased columns fashioned after those seen in Disney’s Beauty and the Beast add to the enchanted ambience, while neighboring wall sconces, throne-style chairs and the inviting circular floor plan have been recreated from Disney’s Cinderella. We are off to the ocean tomorrow. It is suppose to rain, but who cares when you have an ocean to look at. May your week be the best, too. Our excursions are booked and some tickets bought for the "Italy and the Disney Mediterranean Cruise". Still more tickets to buy with less thant 80 days to go. The guys are flying to Seattle over Easter weekend to do Sakura-con, while Ray, Autumn and I listen to a Rick Steves class on the Villages of Italy. Then it is off to our favorite Whidbey Island and a night at Fort Casey Inn. Finally we are enjoying the tulips near La Conner. Anywone interested in coming along. Is anyone interested in a week at the ocean from December 28-January 4th? We can book the house we had this last Christmas or something else if more folk wish to come. Let me know what you think. If you have ever considered going on a trip with us, now is the time. There are 12 of us going on the Disney Fantasy Cruise for our All Things Disney trip from April 11-18, 2020. There are still rooms should you care to tag along. This is a group trip. We will probably slip in a few days before the cruise to Walt Disney World and Universal Studios/IOA. However, that part is optional. Please join us whenever you can, wherever you can.